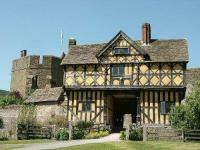 Craven Arms is just 2 miles away from Strefford Hall on the main A49 Shrewsbury to Ludlow road. 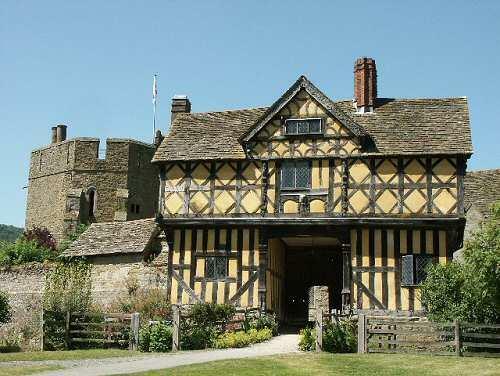 Nearby you will find the stunningly beautiful Stokesay Castle, whilst in stark contrast, the ultra-modern Secret Hills Discovery Centre is just a short walk from the town centre. In the town you will find the quirky, but highly entertaining Museum of Lost Content. 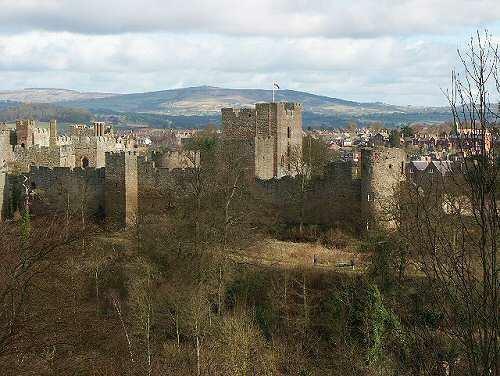 Centrepiece to the town is the dramatic medieval Ludlow Castle, home to the world renown arts festival held in the town each summer. Nearby, the cathedral-like church of St Lawrence is said to be one of the largest in England. The town is renown for its quality eating places, plus market and a collection of antique shops. 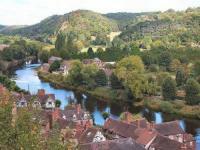 Often referred to as "The Jewel of The Severn" Bridgnorth occupies one of the most spectacular inland town settings in England. In 1642 King Charles I described the view from Castle Walk as "the finest in my domain". The town has two main areas: 'High Town' includes the main shopping street and is perched dramatically on top of one hundred foot sandstone cliffs. 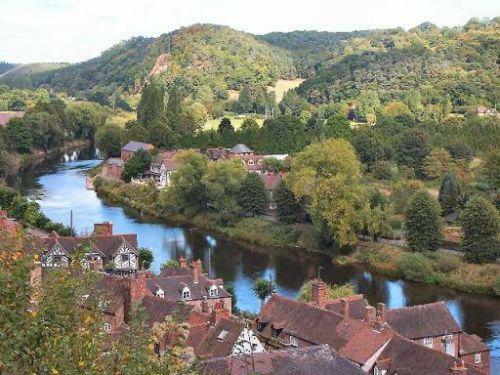 The lower part is known as "Low Town" and straddles the River Severn. The two are linked by a series of historic winding steps and a unique cliff railway. The northern terminus of the Severn Valley railway is also located in the town. Just a short drive away is the World Heritage Site at Ironbridge. 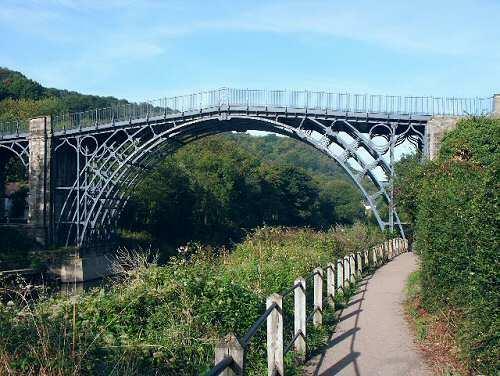 One of Shropshire's top attractions, the Ironbridge Gorge is known throughout the world as the birthplace of the Industrial Revolution. You can now visit 9 museums dedicated to the history of the period, including Blists Hill Victorian Town. Centre piece to the town itself is the world's first Iron Bridge. 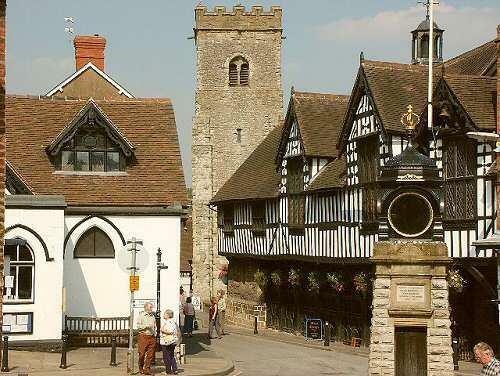 Much Wenlock is a quintessentially English town, off the beaten track and the birthplace of William Penny Brookes, founding father of the Modern Olympic Games! Places to visit include the dramatic remains of Wenlock Priory that are laid upon the site of St. Milburga's Abbey dating from around AD 680. There are holy wells, shuts, cobbles, whipping posts, stocks and all sorts of Olympic artifacts to be found. 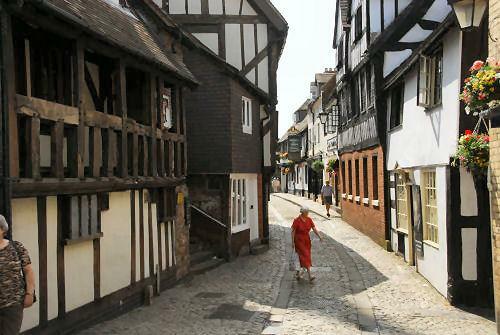 Birthplace of Charles Darwin, Shrewsbury is Shropshire's county town and famous for its medieval buildings, including Shrewsbury Abbey (fictional home of Brother Cadfael). The river, with riverside walks, almost circles the town, which has good shopping facilities, museums and a castle. 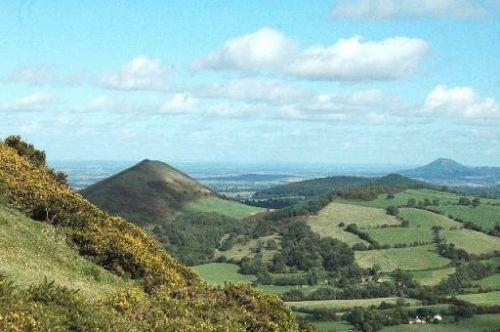 There is a myriad of attractions and places to visit around Shropshire during your stay, including historic castles, spectacular gardens, National Trust & English Heritage Properties.